Our Medium Fast SW Series is designed with Loop’s default mid-curve, mid-fast blank action. Ideal for an accelerated tempo during the casting stroke, the Medium Fast range will retain impressive amounts of power reserve when gnarly onshore winds require more forceful power application to present your fly. With a super smooth energy transfer, each model in the series will excel in the pursuit of a range of saltwater species. 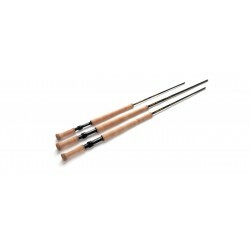 The Fast actioned SW rods are designed with a more tip inclined action than the Medium Fast blanks and benefit from stiffer flex characteristic throughout the various models. 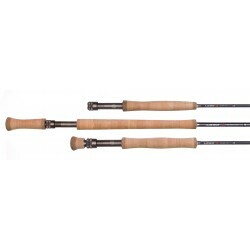 This rod action produces super tight loops with ease, allowing saltwater anglers effective water coverage in the most extreme environmental conditions. As well as superior casting characteristics, the Fast SW’s flex pattern will subdue the strongest of fighting fish.